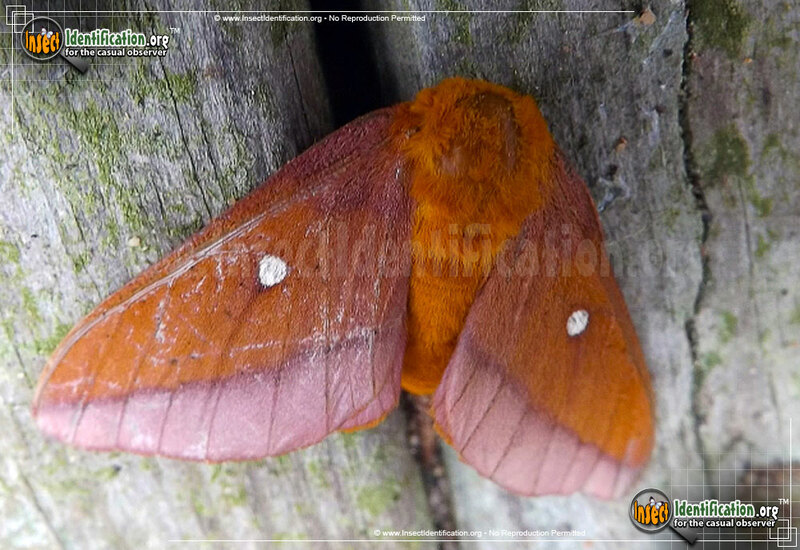 Detailing the physical features, habits, territorial reach and other identifying qualities of the Pink-Striped Oakworm Moth. Pink-Striped Oakworm Moths are an attractive moth casting shades of brown, pink and purple as they roam through groves of oak trees. Female and male Pink-Striped Oakworm Moths are slightly different in appearance. Males have a translucent patch that females lack and they are slightly darker. Males are active in the day, and females are attracted to lights at night. Males are agile in flight and may be mistaken for a bee at first glance. Both genders have a bright white dot on each forewing and a thick band of pink that borders the bottom edges of their wings. Caterpillars are a greenish-brown color covered in small white speckles. Long pink stripes stretch from head to rear and segments are studded with short black spikes. They feed on the leaves of many types of oak trees and can be found grouped together as well as alone. Look for Pink-Striped Oakworm Moths in the eastern part of the continent in deciduous forests and woodlands as well as in parks and backyards that have oak trees.